At WISCO – Walk In Shower Company – the shower is the heart of the our business. We believe that a bathroom solution should be for life, and last you a lifetime. Our bathrooms are stylish as well being bespoke-designed to suit your individual needs. A shower can turn an average bathroom into an incredible bathroom, and our team of experts will help you choose the perfect shower to suit your needs, as well as to look beautiful in your brand new wash area. Our wide range of shower options will leave you spoilt for choice, but we are confident that whichever shower you choose will look great in your new bathroom as well as being practical and fit in perfectly with your lifestyle and tastes. At WISCO, we have a wide range of shower enclosures for you to choose from. All of our shower enclosures come with a standard 6mm, 8mm or 10mm toughened safety glass as standard and all glass comes with a protective surface application. This application is called microban and protects against any organic growth, which could include mould, mildew and any other water born diseases. All of our glass comes with a lifetime guarantee- as it should literally last you a whole lifetime! 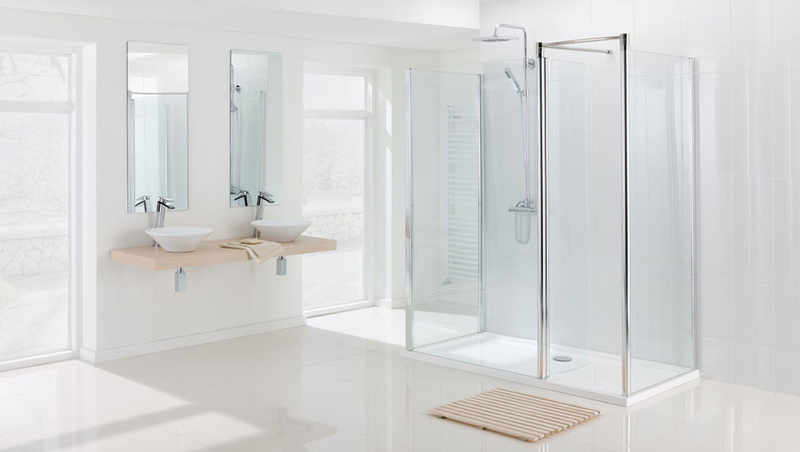 Our range of shower enclosures include: The Classic, The Offset Classic, The Prestige, The Deluxe, The Double Deluxe, The Walk Through and The Walk Around Glass Screens. Our experienced and helpful team will advise you on which shower style will be best for your needs, as well as which style will fit best with your bathroom (in terms of both space and budget). The Walk Through and The Double Walk Through styles are in 10mm glass to compliment many different styles of wet room. All of our shower enclosures and glass panels are designed to ensure complete ease of use, as well as keeping you safe in your bathroom. Safety is a top priority here at WISCO – Walk in Shower Company – and we see it as our job to try to keep you as safe as possible while living with our stylish, yet safe bathroom designs. Our designs are all easy to clean and maintain, so therefore are ideal for elderly people, people with disabilities or people with busy lifestyles. Shower Trays: Shower Trays come in all shapes and sizes and are non-slip. You could also add an optional transparent abrasive cover for extra security and peace of mind while you are showering. Seating: There are many seating styles for you to choose from, meaning that you are bound to find the perfect seat for you. Our experienced and knowledgeable team can help advise you on the best shower seat for your needs, including our very own bench seat tailored especially for you. Grab Rails and Shower Tidy: We provide a wide range of attractive and comfortable grab handles in a variety of sizes and styles to provide you with ultimate security when using a WISCO shower. These grab handles are finished with attractive and practical shower tidies. Shower Valves and Controls: We can provide and install any type of power shower including: Electric, Thermostatic and separately Pumped/ Boosted. Decorative Wall Panels: We supply bespoke decorated wall panels from a wide selection of designs, coated in anti-organic, anti-mould protector to keep your shower looking fresh and clean with minimal effort. 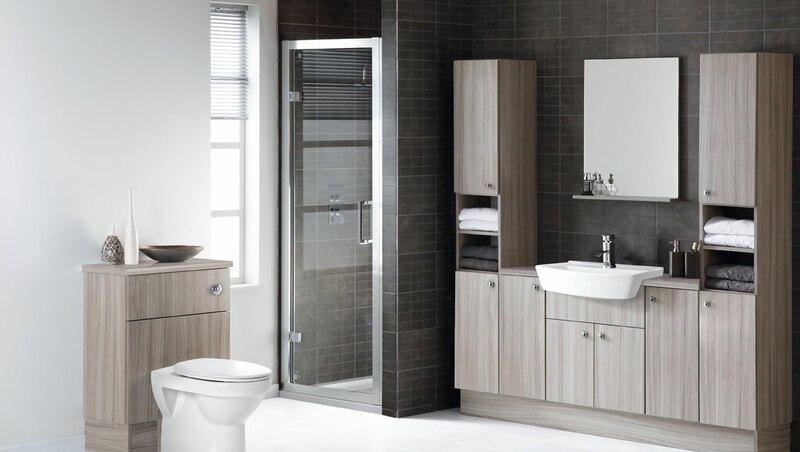 Furniture: We provide a wide range of bathroom furniture including: tallboy cabinets, vanity units, cupboards and drawer units. These beautifully built cabinets bring great storage solutions and effortless cleaning with their high gloss finish. Flooring: We specialise in the supply and installation of a range of KARNDEAN and AMTICO flooring. The reason we use these particular types of flooring is because they are unrivalled in quality and excellent for non-slip, with hundreds of beautiful ranges, styles and colours to choose from.